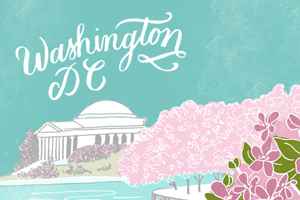 These save the dates from Jaymee of Jay Adores Design Co. are just so great, from concept to execution! 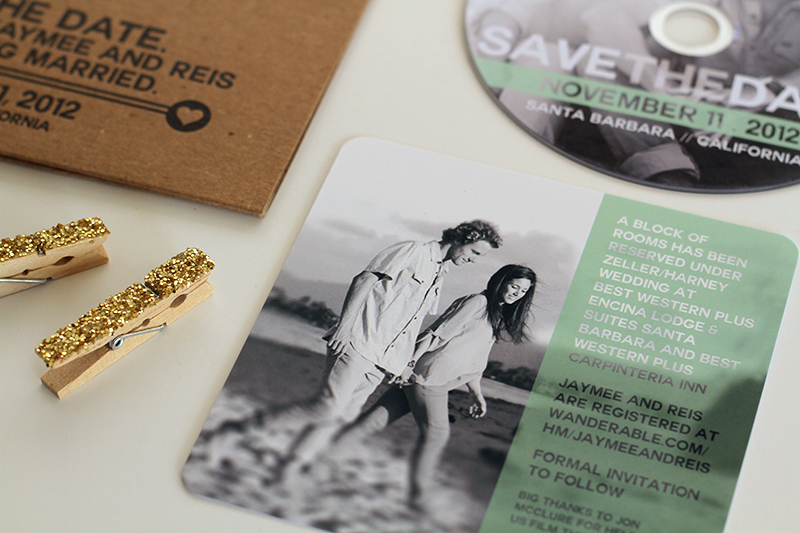 Created for her own wedding last fall, Jaymee wanted to create something personal to share with their guests-to-be. With the help of a friend and the talented folks at Rise and Shine Paper, Jaymee created a beautiful DVD, chipboard case, and an insert with helpful travel information. So fun! Since we met and would marry in California, (where I’m from), but have spent the last 4 years living in Hawaii (where he’s from), many of the people who made up our guest list we hadn’t been able to spend too much time with as a couple. To announce our engagement, I thought it would be fun to make a short video of us in our Hawaiian element and share it with family and friends on the mainland. Thankfully, my fiance-now-husband agreed to this idea and with the help of a friend, we spent an afternoon filming some of our favorite leisures on the north shore of Oahu where my husband grew up. After editing the video, I was even more excited to start the packaging process! I found these chipboard DVD cases and had them letterpress printed by Rise and Shine Paper (Ryan was so great to work with!). Then using some of our engagement photos, I designed a DVD label and created a separate insert for other important details. Design: Jay Adores Design Co. Check out the Designer Rolodex for more tal­ented wed­ding invi­ta­tion design­ers and the save the date gallery for more beau­ti­ful cus­tom save the dates! Photo Credits: Jay Adores Design Co.